Many people ignore their allergy symptoms because they don’t recognize that they have a chronic condition. Instead of confronting their allergies, they say they have a head cold or irritated sinuses — and they think the whole problem will go away in a few weeks. But weeks turn into months, and they don’t feel any better. It’s time to confront your allergy symptoms and learn more about them. With this information, you can take the first steps toward a healthier, more comfortable, life. Additionally, you may have irritation where you come into contact with the allergen. For example, people who have pet allergies can develop rashes where their skin touches cat or dog dander. Everyone has different reactions and severity to various allergens which can make it hard to identify what is an allergic reaction and what is a sinus infection or flu. You may not recognize that you have an allergy because the symptoms are rare or only for a short period of time. For example, many people have seasonal allergies to pollen. During the spring months, their noses run and their eyes itch until the rain washes the pollen away. It’s easy to think you’re just muddling through a cold. Some people don’t realize they have allergies because the symptoms are mild. Food allergies are just one example of this. While some food allergies are life-threatening, others cause mild irritation or digestive distress. You might just think you have food poisoning or an upset stomach. There are a lot of different types of allergies. Here are the most common types of allergies people have. You don’t have to self-diagnose your allergies. Florida Wellness Medical Group can test all allergy types with Skin Scratch testing. During this process, a doctor pricks your skin in multiple places to break the surface without drawing blood. Then, he or she will introduce various allergens to see what your body reacts to. The whole process takes less than 20 minutes, and it’s done in a controlled environment to make sure you’re safe. This process is the easiest way to learn what foods and elements you should avoid to prevent allergy symptoms. Once it’s confirmed that you do have allergies, you can take steps to reduce the symptoms. Allergy sufferers should avoid contact with their allergens as much as possible; however, that’s not always easy. Pollen gets everywhere in the spring, and it’s hard to choose between breaking up with a girlfriend or putting up with her cat. If you have to come into contact with your allergens, try to control the situation as much as possible. For example, you can change your clothes after stepping outside to prevent pollen from entering your home. And, you could talk to your significant other about creating “pet free” zones for you to use. You can also take medicine to help with symptoms. Antihistamines, nasal sprays, and antileukotrienes are all options. Talk to your primary care doctor for help in finding what medication might be right for you. Your allergies may never go away, but that doesn’t mean you can’t take control over them. Knowing what to avoid and taking steps to eliminate allergens from your life can make you more comfortable through all seasons. If you’re dealing with symptoms associated with allergies, stop wondering what is wrong. Find out for sure. 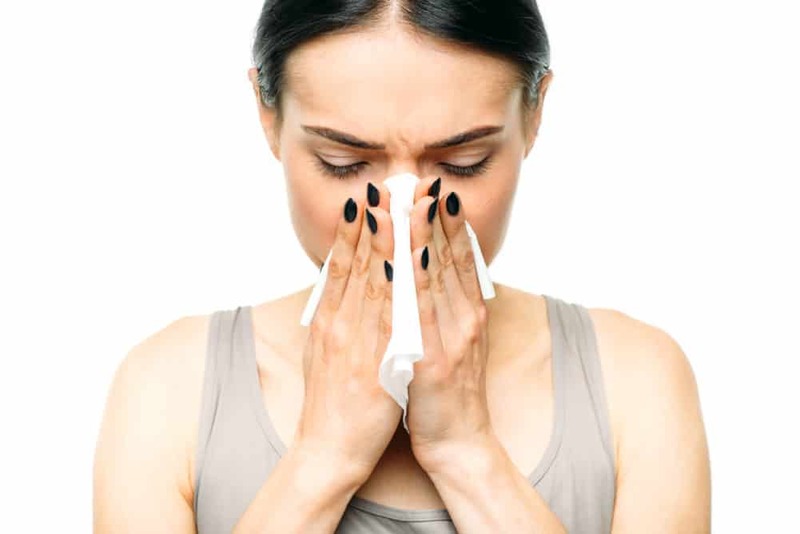 Contact Florida Wellness Medical Group to schedule an allergy scratch test so we can find the cause of your constant running nose or watery eyes. Call us at 844-935-5669 or request an appointment today.